Liability: A motor carrier providing transportation services is liable to a shipper for damage or loss to cargo. The liability imposed is for the actual loss or injury to the property. See 49 U.S.C. 14706(a). Preemption: Federal preemption is the doctrine that federal law precludes and prevents the application of contrary state law. Courts consistently hold that the remedies provided by the Carmack Amendment preempt state law claims against a carrier for loss or damage to interstate shipments, such as negligence, breach of contract, and state consumer protection laws. See Smith v. United Parcel Service, 296 F.3d 1244, 1246 (11th Cir. 2002); York v. Day Transfer Co., 525 F. Supp. 2d 289, 297-98 (D. R.I. 2007). Some courts have even precluded personal injury claims arising out of transportation services based on the Carmack Amendment. – Plaintiffs’ personal property suffered mold damage when stored during transport. – Plaintiffs’ alleged, among other injuries, physical injuries and emotion pain and suffering due to the delivery of moldy property. – Defendant moved Plaintiff’s property from her home into a warehouse. Plaintiff’s property was exposed to pesticides while in storage. Defendant then transported the property to Plaintiff’s new residence. – Plaintiff claimed the pesticides caused her to have a physical reaction requiring medication attention. – The court dismissed all of Plaintiff’s state law claims, even those alleging bodily injury, because of Carmack Amendment preemption. – Defendants stored Plaintiffs’ personal property during a move. The property developed mold and fungus. – Plaintiffs filed suit against Defendants seeking compensation for their property damage, emotional distress, and physical injury. They brought claims for breach of contract, fraudulent concealment, negligence, and Carmack Amendment damages. – The court granted Defendants’ motion for summary judgment finding that Plaintiffs’ state law claims, including those alleging personal injuries and emotional distress, were preempted by the Carmack Amendment. – Defendant transported Plaintiffs’ household goods. Plaintiffs wanted delivery before Christmas. Defendant did not deliver the goods on time. – Plaintiffs brought suit alleging claims of outrage, intentional and negligent emotional distress, breach of contract, breach of an implied warranty, breach of an express warranty, a violation of the Texas Deceptive Trade Practices Act, slander, misrepresentation, fraud, negligence, and violation of obligations as a common carrier. – Defendant moved for summary judgment. The court granted the motion holding that the Carmack Amendment preempted all of Plaintiffs’ state law claims. As you can see all of these claims arise out of damages associated with the delivery of the cargo, which the Carmack Amendment focuses. In the circumstances when a plaintiff is making a claim for injuries related to a vehicular accident, the Carmack preemption would likely NOT apply to have the bodily injury claims dismissed. Yet, when someone claims an injury due to mold or falling cargo or failure to timely deliver cargo, then you may have basis to dismiss the bodily injury claims and remove the matter to federal court because of federal preemption. But there are still cases that don’t go our way on the issue. This case involved an accident that occurred when plaintiff, Thomas McGinn (“McGinn”), attempted to unload merchandise from a trailer delivered by defendant JB Hunt Transport, Inc. (“JB Hunt”) to the Target Distribution Center in Oconomowoc, Wisconsin. McGinn alleges that he sustained severe personal injuries when the merchandise fell and struck him as he entered the trailer. McGinn and his wife filed a complaint against JB Hunt, as well as NYK Logistics (Americas), Inc. (“NYK”), who provided transloading services for the merchandise and NYK’s insurer, Tokio Marine & Nichido Fire Insurance Company, Ltd. (“Tokio Marine”). All three defendants filed motions for summary judgment on the grounds that McGinn’s common law negligence claims are preempted by 49 U.S.C. § 14706, commonly referred to as the Carmack Amendment. – On May 28, 2007, NYK contracted with Target Corporation (“Target”) to perform transloading services in California for the transport of gas grills to Target’s distribution center in Oconomowoc, Wisconsin. – A bill of lading was issued identifying Target as the shipper and JB Hunt as the trucking company in charge of domestic transport. – On May 28, 2007, NYK loaded the grills onto the trailer owned by JB Hunt. – On June 2, 2007, JB Hunt delivered the grills to Target’s distribution center in Wisconsin. – Two days later, McGinn, an employee of Target, was about to begin unloading the trailer when he noticed several wet cardboard boxes at the back of the trailer. McGinn and a fellow employee observed a hole in the trailer’s roof and witnessed one of the boxes spilling out of the trailer onto the loading dock floor. – McGinn and his co-worker immediately contacted their supervisor. The supervisor arrived and the three discussed whether or not it was feasible to unload the trailer. – At first, they decided to unload the waterlogged product by hand, but later determined that using a forklift may be safer because it would allow the workers to stand further away. – While McGinn’s co-worker went to retrieve the forklift, McGinn attempted to move an empty pallet from the loading dock area to the back of the trailer. As he was moving the pallet, McGinn turned his back to the open trailer. While in this position, some of the boxes fell from the trailer striking him on the back of the neck. 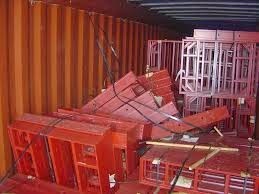 According to McGinn, the boxes fell on him because of the manner in which the defendants loaded and operated the trailer and because of the lack of proper maintenance of the trailer. “49 U.S.C. § 14706(a)(1). It is well established that the Carmack Amendment preempts state law with respect to carrier liability for the loss or damage of goods in interstate commerce. Charleston & W. Carolina Ry. Co. v. Varnville Furniture Co., 237 U.S. 597, 603 (1915); Southeastern Express Co. v. Pastime Amusement Co., 299 U .S. 28 (1936). However, in the Seventh Circuit, the Carmack Amendment does not preempt claims by shippers that allege liability on grounds that are separate and distinct from the loss of, or damage to, goods that were shipped in interstate commerce. Gordon v. United Van Lines, 130 F.3d 282, 289 (7th Cir.1997). “In Gordon, the plaintiff sued her carrier after it failed to deliver, and ultimately destroyed, several heirlooms during her relocation. 130 F.3d at 284. The plaintiff asserted several grounds of relief for the destruction of her property, including fraud, breach of contract, and willful and wanton conduct. Id. The Seventh Circuit held that the Carmack Amendment preempted all of those claims because those claims were essentially based on “the contract of carriage, in which the harm arises out of the loss of or damage to goods.” Id. at 284, 289 (citing Hughes v. United Van Lines, Inc., 829 F.2d 1407 (7th Cir.1987). However, the Seventh Circuit held that the plaintiff’s claim for intentional infliction of emotional distress survived Carmack Amendment preemption. Id. at 289; But see Hughes, 829 F.2d at 1410, 1412 n. 5 (holding that the Carmack Amendment preempted state common law remedies, including negligent infliction of emotional distress). The Seventh Circuit reasoned that “a number of situations” may exist “in which a carrier might remain liable to a shipper for certain kinds of separate and independently actionable harms that are distinct from the loss of, or the damage to the goods.” Id. at 289. “Based on the Seventh Circuit’s holding in Gordon, the court finds that the plaintiffs’ claims are not preempted by the Carmack Amendment because they allege a separate, independently actionable harm from the loss of or damage to the goods. In the case at hand, the harm is infliction of bodily injury, not property loss or damage. Supporting this finding, is the fact that the plaintiffs’ potential measure of damages is not at all correlative to the loss or damage to the goods. Indeed, it is not even clear that the goods involved in the accident were, in fact, damaged. The bottom line is that McGinn is not seeking a remedy for damaged or lost goods. He is seeking a remedy for bodily injuries sustained due to NYK’s negligent loading of the goods and JB Hunt’s failure to maintain and inspect the trailer on which the goods were transported. “To be clear, the plaintiffs’ claims certainly have some association with the transfer of goods. Indeed, McGinn would not have been injured but for his unloading of goods that were shipped in interstate commerce. Yet, the relevant inquiry is not whether there is some association between the claim and the transport but, rather, whether the state law claim is really a claim for damages to the shipper’s goods in disguise. See Gordon, 130 F.3d at 289. For this inquiry, it is necessary to ask what damages are being sought. “While some courts have chosen a broader scope for Carmack Amendment preemption, looking to whether the conduct underlying the claim is separate and distinct from the delivery, loss of, or damage to goods, instead of asking whether the resulting harm is separate and distinct, this court finds such an interpretation of the Carmack Amendment’s scope of preemption to be flawed. See Smith v. United Parcel Service, 296 F.3d 1244 (11th Cir.2002) (all state law claims are preempted by Carmack unless they are based on “separate and distinct conduct rather than injury.”). For one thing, the plain language of the statute limits the carrier’s liability to the “actual loss or injury to the property” damaged en route. 49 U.S.C. § 14706(a)(1). Moreover, the purpose of the Carmack Amendment was to “establish uniform federal guidelines designed in part to remove the uncertainty surrounding a carrier’s liability when damage occurs to a shipper’s interstate shipment.” Hughes, 829 F.2d at 1415. So there are still cases out there in which the Carmack preemption was not applied for bodily injuries that were tangentially related to the delivery of cargo. We just have to keep up the good fight for the industry. Just as the plaintiff’s bar continues to look for ways to impose new theories of liability, we have to continue be proactive in fighting FOR the industry. 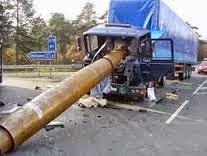 Keep up the great work that all you truckers do. Where we would be without you? We would all have to our gardens and cows to eat. We would have to make our clothes and cheese and butter. You deliver the goods that the world needs. Call if you need any assistance day or night.